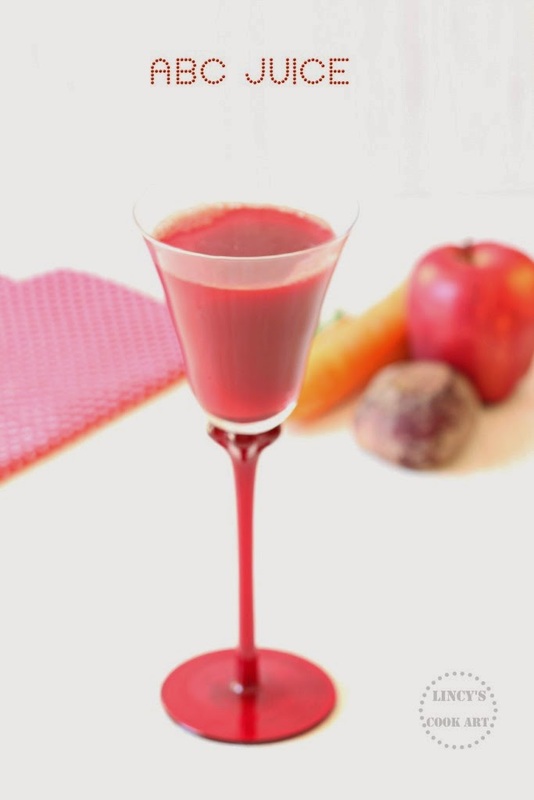 ABC juice that is Apple, Beet root, Carrot Juice. This is a popular detox juice which is so healthy and colourful because of the fruit and the veggies added to it. This juice helps to loose weight and maintain good health and also provides a good skin tone. So this drink is also called a 'Miracle Drink' too. This drink was introduced by Chinese herbalists for the treatment of lung cancer and many other diseases. But nowadays it becomes so popular and known as miracle drink. This drink is packed full of nutrients from one fruit and two vegetables which provides plentiful amount of antioxidants. 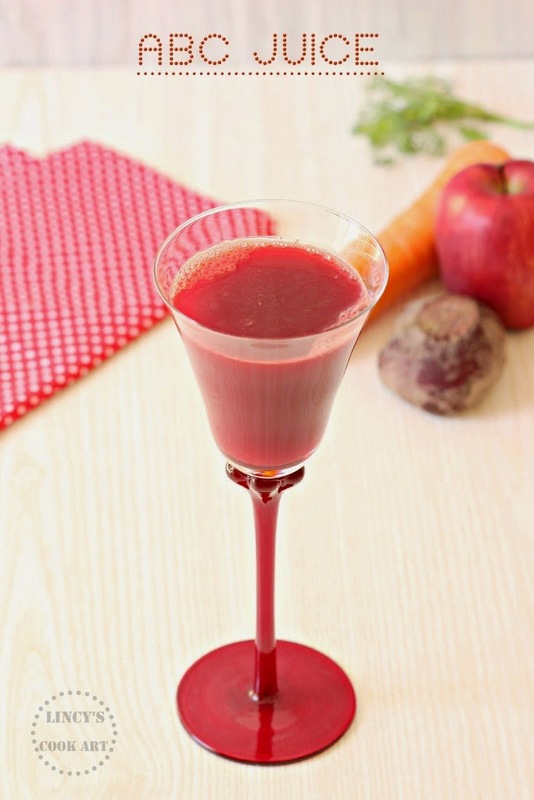 Take apple and carrot almost same quantity and use little smaller beet root. You could use three in equal quantity too. Add a piece of ginger if you like to include. Peel the veggies, no need to peel the apples but core them to remove the seeds. Chop every thing in small pieces. Add them in a blender or juice jar and puree them. Then add the chilled water and pulse again once or twice to mix well. You can drink as such too which adds more fibre. I like to strain and use the clear juice. Pass the juice through a strainer and press with a ladle/spoon on top. You could extract using your hands too. Add a squeeze of lime if you wish. Chill if you wish for few minutes. Do not store this juice. Make it fresh for better results. For the best results take miracle drink with empty stomach, early in the morning. One hour after consuming the drink you can take your regular breakfast. You can even take it twice a day, one in the morning and the other glass in the afternoon.